Few would disagree with the fact that hoverboards are among the most amazing invention in recent years. Already, balancing on a bicycle needs quite some patience to muster. One would then imagine that standing on two wheels and balancing in impossible. Hoverboards come in different wheel sizes. In this article, we review the Top 5 best 10 Inch Hoverboards 2019. What do I need to consider before selecting the one to buy? How do you use a hoverboard? If you are hearing this for the first time, I need to take you back a little. Remember Segways? Segways are two-wheeled personal transporters, but with a handle bar. They are commonly used to move around easily in the streets, but even more in work places (especially in factories where one needs to go to different sections quickly). They consist of a flat surface, with wheels at both ends. Hoverboards, on the other hand, are similar to Segways, but without a handle bar. To use it, you need to stand on the flat, legs apart, with feet near the wheels. How do you balance? Well, that was the exact question on my mind the first time I heard about hoverboards. 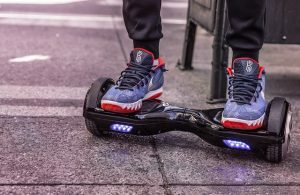 Thanks to modern technology, hoverboards have inbuilt sensors that will ensure you don’t fall over. To move forward, you need to lean forward slightly depending on how fast you want to move. Amazingly, some can reach speeds of up to 15mph! If you want to slow down, just lean backward. Lean backward too much and there you have it – reverse ‘gear’. Pressing forward with one foot and backward with the opposite one will help you turn around. With an experience of over 120 years, UL (Underwriters Laboratories) is a global company that is out to uphold that consumer safety. Their aim is to guarantee and enforce responsible production, marketing, and sale of goods. Being human-made products, hoverboards safety as become a hot topic since invention. How safe are they? Do I risk losing my teeth or getting fractures in the name of fun or convenience? Worry not. The U.S. Consumer Product Safety Commission banned all hoverboards, and only those with UL certification were allowed back into the market. The latest UL standard is the UL2272, which you should ensure your preferred hoverboard meets. Sometimes you may need to carry your ride. What happens, for instance, if you get to a very rough patch or a very steep slope? You need to note that most hoverboards weigh around 20 pounds or more. This means that you must be aware that if need be, you will manage to carry it around. Indeed, it depends on how fit you are and how far you have to carry it. Some specs will demand that you pay more than you had budgeted for. However, my advice is that you always need to buy what you can afford. Same goes for hoverboards. Alongside other desired features, take your time to browse through a number of them before settling for one that meets your needs, but at your preferred cost. Of course, you are not buying a motorbike, but rather a convenient way to hover around faster than walking. However, some hoverboards can reach a maximum of up to 15 mph. I think that is more than enough for a self balancing two wheeler. The last thing you want to buy is a hoverboard that you won’t be able to use. Can you imagine trying out your new baby for the first time and it crumbles under your feet? Embarrassing, isn’t it? To avoid such an unfortunate occurrence, please check the maximum weight your preferred hoverboard can handle before hitting ‘check out’. Looking to buy one for your child? Check out the age range specified by the vendors. Some hoverboards can only be used by kids, aged 12 years and above. However, most are for anyone aged 12 years and above. This is another crucial aspect to check. You don’t want to buy one that can go up to a maximum of 10 miles while you need to cover at least 12 miles, for example. To be on the safe side, go for the one that covers a longer distance. While riding, you can measure the distance covered using any good smartwatch. In the modern era of impatience, hoverboards have not yet upgraded to ‘fast charging’. Some will even take up to 3 hours to charge. Therefore, you may need to charge your overnight if you require to use it in the early morning hours. If I were you, I would compare charging times and get the one that takes a slightly shorter time to charge. For stability, you need to get a sturdy machine. Ensure that is made using durable material and not plastic. If ordering online, it may prove difficult to know the exact strength of the product. However, try and see what other buyers are saying about the product and how strong it is. As much as UL certification guarantees safety, I always advise that one needs to counter-check that all is up to standards. First, ensure that the hoverboard has non-slip tires and pedals. Also, it should waterproof and have an anti-impact casing for maximum protection. Lastly, confirm that it has the anti-explosion and fire protection features. Now that you know what hoverboards are, how they work and what to check before buying, let’s delve into the features and specifications of the Top 5 Best 10 Inch Hoverboards 2019. Top on our list is the first ever hoverboard to be built for use by everyone, heavy or light. It’s the first one to handle well over 250 pounds. With its maximum load of 420 pounds, expect it to be enjoyed by everyone in the family, or in your group of friends. Unless you are The Big Show, you are good to go. Looking for to use your new ride on all kinds of terrain? The SWAGTRON T6 Off-Road Hoverboard won’t disappoint you. Its rugged 10 inch tires can move through gravel, grass, or mud. In addition, it can be used when it’s raining. Also, with an inclination of up to 30 degrees, slightly steep slopes should not be a problem. With the Bluetooth® technology, enjoy your ride as the self balancing scooter plays your favorite music straight from your phone. In for a smooth, safe ride? The Skque X1L10 UL2272 is the best hoverboard for you. It is strongly built, with the chassis being enforced to support its strong shell. At night bright LED lights guarantee that you are clearly visible to cyclists and motorists alike. The stylish design ensures you get to turn heads wherever you hover to. Take your pick from different color options: black, red, blue and white. Also, you can easily connect it to your phone via Bluetooth® and enjoy some music as you navigate. Want to find out the latest price? Click here. The most amazing thing about this XtremepowerUS Electric Scooter is the design. Its alternating colors will ensure that you stand out from the crowd. Depending on your taste, you can choose between the matte red and matte blue options. This hoverboard is ideal for all kinds of surfaces, given that its wheels are air filled. You can also move over slightly steep slopes, given that it allows you up to 17 degrees inclination. Regarding safety, this is among the world’s best. It has passed all tests done by UL (Underwriters Laboratories). 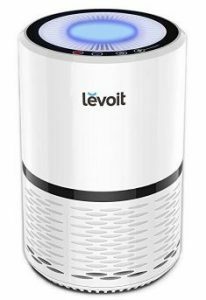 Also, its high-quality build, two 150-watt motors that are controlled individually ensures that you are protected. Another safety feature it has is that once it is almost getting to its maximum speed, an alarm will ring so that you can slow down. As you cruise down the street, play your favorite jams on your phone, straight to its impressive speakers. This is all thanks to Bluetooth® technology. This is one beautiful piece of art. Well, at least that’s the case if you like flame designs. Get this hoverboard to match your fashion style and make a statement. Bluetooth® technology allows you to listen to your favorite playlist on your phone, through its powerful speakers. Apart from its elegant design, you also get one of the safest self balancing scooters in the market. You are guaranteed that it will not spark, overheat or catch fire. In addition, you can hover safely at night without fear of getting into an accident. The bright LED lights, in addition to adding some oomph, ensure you can be seen from a distance. Movement is one of the essential functions that we perform daily. What could be better, or cooler than being able to navigate from one place to another on a self balancing two-wheeler? For me, hoverboards are among the best recent inventions. It is something that has revolutionized our day-to-day routine as well as leisure activities. Nonetheless, health and safety of every individual are paramount. That is why the UL has gone on to put in place strict terms and conditions that have to be met before any manufacturer proceeds to sell one. Ensure that your preferred hoverboard meets the UL2272 certification before purchasing. It is crucial you check that is has a UL certification label, in addition to other factors such as weight, speed, range, your budget, among others. We have taken time to analyze the Top 5 Best 10 inch hoverboards, but ultimately the decision is yours. Take time to through the review and decide which the best is for you. Great review, UL certification is a must to ensure top quality. Nice and very much informative…Thanks for sharing this. This post of yours really helped me out for buying hoverboard.